A Trip to Dalhousie & Khajjiar-: You will fall in love with it - Ghumakkar - Inspiring travel experiences. We started form Gurgaon to Dalhousie, which is blessed with enchanting beauty, a certain tranquility of its ambiance and the serenity and sacredness of its culture. As we started our Journey in the afternoon so we plan for night stay at Chandigarh. we reached Chandigarh at 7.00 P.M in the evening so we were having enough time to visit the famous Mansa devi temple. its an awesome place with such a peace. On the next day we started early in the morning for our journey towards Dalhousie. it took almost 7hr to reach to Dalhousie from Chandigarh. 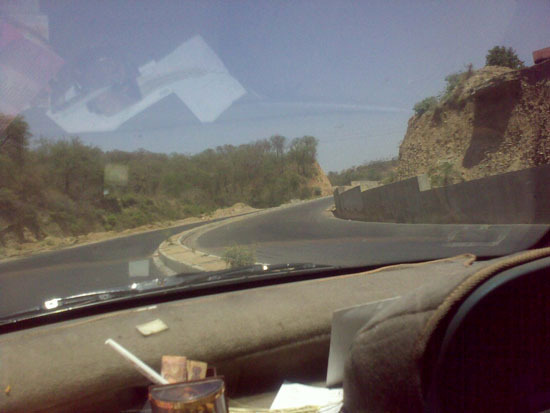 The road is pretty gud if you follow the hoshiarpur-Pathankot-Dalhousie route. We reached Dalhousie at 3.00 PM & straight went to our guest house to have some rest. The location of the guest house was awesome & it was surrounded by thick trees & was on the tip of the mountain. The weather was soothing with cool healthy air which you will never experiance in Gurgaon. It is built on and around five hills. The roads of Dalhousie are famous for its shape as 8.The roads surrounding the two adjacent hills joints, to form an 8. The curving road and the jawdropping cliff on one side of the road did nothing to assuage our troubled hearts. 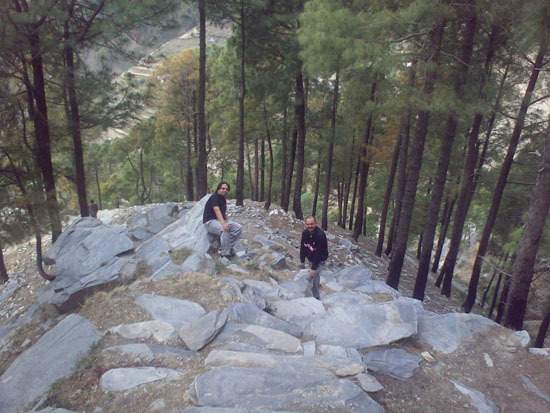 Thick forests of pine and deodar covered the hill slopes with the trunks of the trees easily a few feet wide. 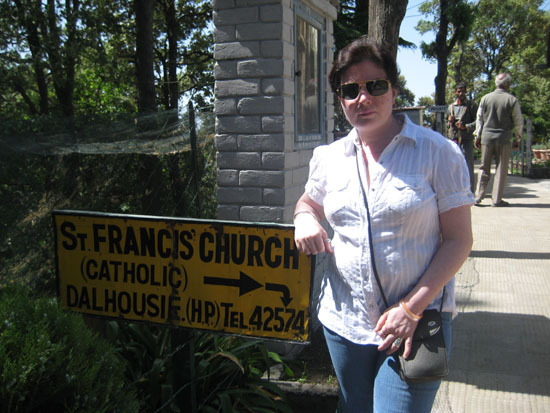 Our guest house was near to Subash Chowk & we decided to visit the St. Francis Church at Subhash Chowk that evening. One will love the architectural beauty of the church. it’s a very old church built by the English men early 19th century. Then we decided to walk till Gandhi chowk which was around 2 Km. we loved each & every moment of the walk which was full of ecstatic natural beauty. I have never seen such a beautiful mountain views in my life before. we wake up at around 6.00 in the morning & decide to just have a gud stroll in the morning to adore the natural beauty. we walked around 1 Km on the 8 when we saw one young child coming from the village which was far away in the deep in the mountain. we were very impressed with the young child & decided to track that dangerous route till his village. There was no pathway for the complete track so it was full of danger & excitement. we met many of the villager in between & came to know that that no medical facility was available in the village. One of the women who was very ill also needs to track that dangerous route in order to consult the doctor. finally we reached the village after 1 hr of difficult tracking . The name of the village was Barrera. We were feeling the need of having tea but too our surprise no shops were available in the village. One of the villager invited us to have tea at his home. 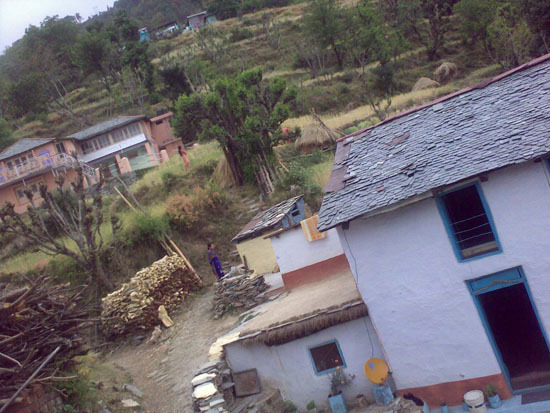 His home was a typical a Himachali home built with wood & kullu slates. The villager also informed us that we can further track down this mountain to reach the valley for the famous lakkar baba temple. We decided to track till that place. One of the villager was also going to the same place so we decided to follow him. we thanked the villager for such a wonderful gesture & hospitality. The route was full of Danger & natural beauty. The track was 5Km from the village & took 1hr to reach the temple. we gave our offering at the temple & decided to move on. We cam to know further 1Km downwards we will touch the Highway & will get the bus for Dalhousie. We reached the highway & was surprised to know that Dalhousie is 16Km from this place. we came back to Dalhousie by bus & had a gr8 Supper at the SBI Guest House. Dalhousie quietly ensconced amidst pine trees with a charming background of the snow clad Himalaya, has a breathtaking scenic beauty. 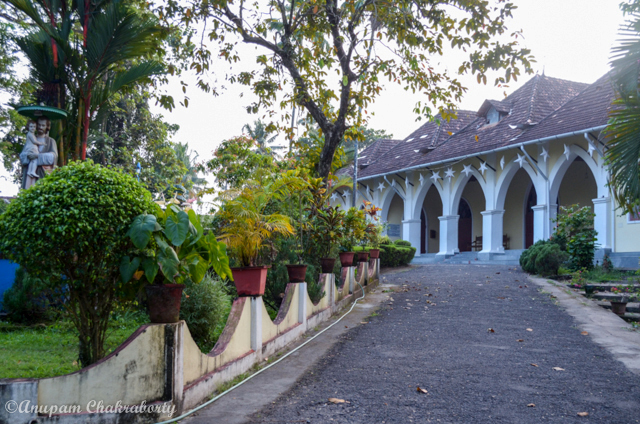 We decided to explore nearby places and drove towards “Panchpula”.Panchpula, a beautiful spot, is barely 3 kms. from G.P.O. On the way to Panchpula is Satdhara springs gurgling with refreshing water, believed to contain some medicinal properties. Although Road towards Panchpula is very narrow. After 20 minutes drive and we reached Panchpula the main source of water supply to Dalhousie. There is an elegant monument erected at Panchpula where several streams meet at one point.From Punj pulla there are also a few hiking trails. If you are planning to go for hiking, make sure you are well equipped for it. The pines, deodhars, oaks, tiny mountain flowers, the jungle babbler, the undulating hills, the tree line, soothing breezes, all perfectly. I realize, my furiously beating heart has settled to a trance at this discovery. We promised to cover that next time as we have already tracked 10Kms yesterday. We planned to visit Khaijjiar and drove towards Gandhi Chowk from Panchpulla where another road climbs up towards Lakkadmandi/Khaijjjiar (as a small signboard guided us). After driving for 30 mintues we noticed an intersection but missed another small signboard (which ofcourse said “Khajjiar) . At lakkadmandi we decided to visit the wild life sanctuary before going towards khajjair. As we have the restricted time so we planned to visit the sanctuary by car only but soon we realized that it was a big mistake. The route was very narrow & full of dense forest. One will love to walk on such track surrounded with ecstatic natural beauty. we decided to track it & parked our car at one side of the road. A very thick and dark forest crowns the hilltop and perhaps that is why the place has derived its name as Kalatop which literally means a black cap. I will recommend not missing this place, you will enjoy a lot if you can manage to go on feet. We shot a lot of photographs here. Pheasants and Monal and various other birds can be frequently seen in the place. Leopards, black bear are also found by travelers occasionally, but we were not able to see anything. One can stay at kalatop as the Forest Guest house is open for the private individuals also. I would recommend one should stay atleast one nyt at Kalatop to experiance the night views of the forest. Then we started our journey towards Khajjiar. 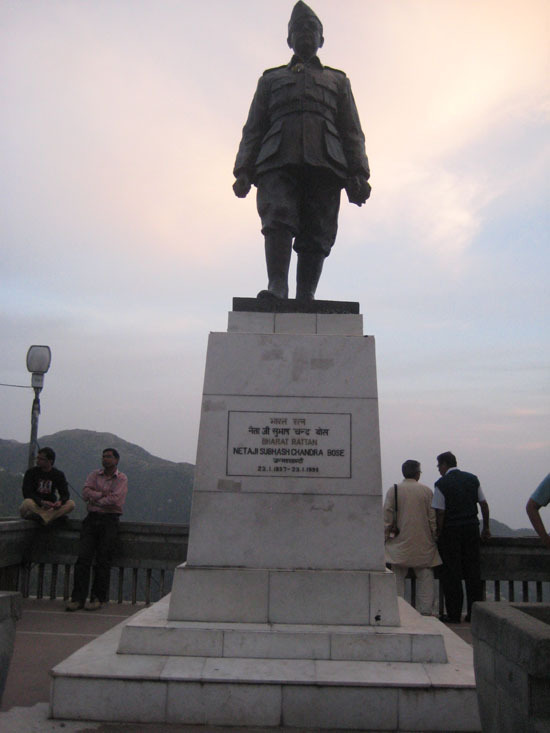 It is the most exotic and scenic beauty place around 22 Km from Dalhousie. Khajjiar is officially proclaimed the mini-Switzerland ofIndia. At an altitude of 6450 ft, this saucer shaped green meadow, ringed by Devadar Trees has a lake in the middle complete with floating island. I liked horseback riding and strolling. It’s the best place to spend more time as compare to the other places. We spent around 2 hrs & enjoyed Horse riding there. At around 5 p.M we started our journey back to chandigarh. we took another route which goes directly to pathankot & is shorter in distance. The road was Ok but it was too narrow so only a experiance driver should follow that path. The traffic at this road is very less & the scenic beauty is ultimate along the whole route which compensate for the narrow road. At midnight we reached at chandigarh & has a great sleep . next day we left for new delhi & has a great drive till delhi. It was one of the most memorable trip i have ever been too. Interesting detours Gaurav. Good to read about your excursion to Barrera, route really looked dangerous. I have realized that the most-lasting memories are of the places one walks. So, I am sure that it would be one thing you will remember for a long time. Interesting to read about Sardar Ajit Singh as well. We owe our freedom, love and respect to these great martyrs. A breezy read supported by some beautiful pictures. Your post reminded me of our first trip to Dalhousie way back in September, 1975. We boarded a bus from Pathankot around 11.30 A.M. and were hoping to reach there by 3 P.M. But destiny plays its own games. Enroute there was a landslide a few feet ahead of us. By the time the driver decided to take an alternative route, there was another landslide, just close to the rear of the bus. We were almost stranded, with no signs of clearance of the blockades. Night was approaching fast and with small children crying for food, we felt miserable. At a distance, we saw a small light and going through the slippery route, we somehow reached the hut. We explained the things to the householder, who was a little reluctant, but thanks to his wife’s generosity, who quickly prepared some Daal- Rice and provided milk for the children. Next morning, the army brigade stationed nearby, constructed a temporary bridge that allowed the traffic to pass through and we reached Dalhousie next morning around lunch time. Incidentally, whenever someone mentions about Khajjiar, I am reminded of a short story by Dr. Kartar Singh Duggal by the same title. If you get hold of it, please do read it. Welcome aboard and do keep on sharing your experiences. I will for sure read the story by Dr. Kartar Singh. 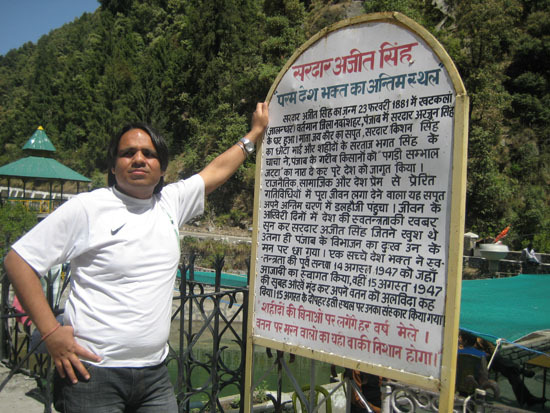 We went to Dalhousie in Oct 2003 and spent 2 days there. 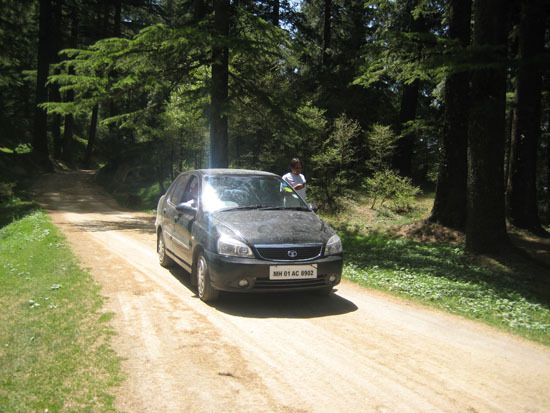 We were driving from McLeodganj, after spending 3 days there, and the drive was awesome. I have read many accounts on Dalhousie/Khajiar and feel like that I haven’t really been there. Thanks for sharing. Can we use 18 seater bus for local sight seen of Dalhousie and khajjiar.. I was there long time back and I would guess that 18 seater should be OK to manoeuvre the roads there. 1. Since I don’t want to reach Dalhousie late, I am planning to go via Amritsar and spend a night there. I know Amritsar is out of the way but I thought it would be an opportunity for me to visit Golden Temple at night. My questions is around the road conditions between Amritsar and Dalhousie. How is the road, traffic and approx how many hours does it take to reach Dalhousie. 2. Any recommendations for the route between Delhi to Amritsar. Is there any possibility of going to Wagah Border if I start from Delhi between 5-6 am. Is Wagah Border recommended next week considering I am with kids (4 yrs old). 3. Any recommended hotel for stay and any special place for Dinner and Amritsar. I want to try the Amritsary delicacy. 4. 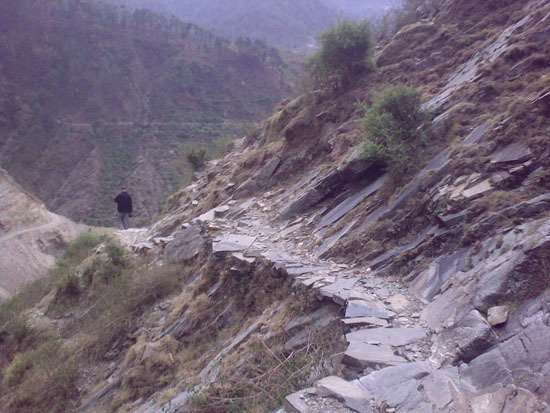 How is the road between Dalhousie and Khajjar. What are the other recommended attractions around Dalhousie. The road is good if you take AMR-Pathankot-Dalhousie route. It will take approx. 5 hrs. But as you approach Dalhousie, be prepared for winding roads which may cause nausea. Distance between Dalhousie to Khajjiar is around 24 kms. Give yourself 2 days in Amritsar. There are many options for staying in and around golden temple. Visit golden temple, wagah border, jalianwala bagh, Ranjit singh museum. Another day to gorge on delicacies, lassi at Surjan singh, kesar da dhaba, phirni at Ahuja sweets, paneer bhurji at Pyare lal, chandrakala at Khubi ram sweets, jalebis at Gurdas ram and tawa chicken at Surji food plaza on Lawrence road. Thanks Daniel for the details.. much appreciated. I won’t be able to do all suggested in Amritsar but would try as much possible..
i want to know the approximate expenses a 4 four teenagers group .we are starting from pune. We friends are planning to go to dalhousie and khajjiar in august 2014. Is it a right time to travel there? 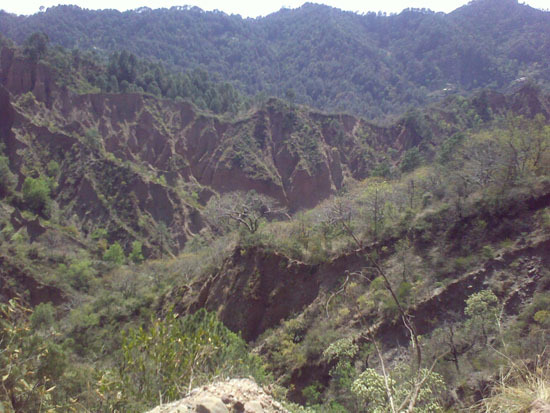 @ Dev – Hills in rains are heavenly but the only issue which you could face is of ‘Landslides’. As long as you are well planned and account for any delays because or road-blocks, you should be good. Wishes. First a fall, I would like to tell you that you have done a wonderful task and write up seems to be amazing. Keep it up. One should not miss such a nice opportunity of travelling to a place heaven and enjoy the thrilling experience. Trekking, Bird watching, Identification of trees & plants, Rappelling, Tyrolean traverse, Jumaring, camp fire, Group games, Skiing etc. If you are interested in these, you must pack your bags. Planning to there and experience it all by myself. If anybody is interested please let me know. We can plan something out. The post reads really well. The present Dalhousie is little different what you witnessed 3 years ago. Very nice depiction. I am planning to visit Dalhousie next month. Planning to stay at Kalatop govt guest house. Can u pls help me by providing any ph number or what is the booking procedure? I have never been to Dalhousie but I felt I was traveling with them invisibly & enjoying all the fun for free with lovely photos & description. God bless. Nice one. Same with me. Though I am planning by Decemeber last week..